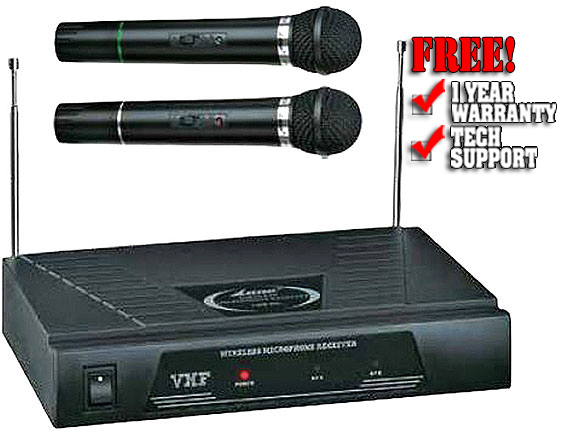 BMP-51 is a VHF wireless microphone system that includes a receiver with high gain antenna and a hand-held dynamic microphone with on/off function. The system has a range of about 30 meters and is battery powered. Light weight, versatile and capable of reproducing a wide range of sound clearly and distortion free makes this system perfect for basic public address as well as musical performances.